DexSmart is the newest, smallest and very first cable-free digital and wireless Holter and ECG/EKG monitoring system for veterinary use. 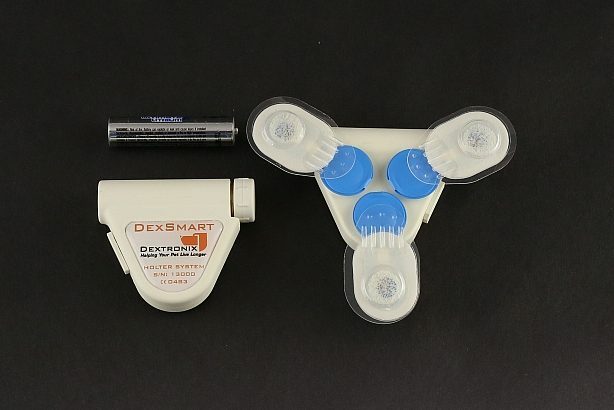 DexSmart easily attaches to the patients body using 3 standard commercial adhesive electrode pads, finally ending the era of bite-prone cables. 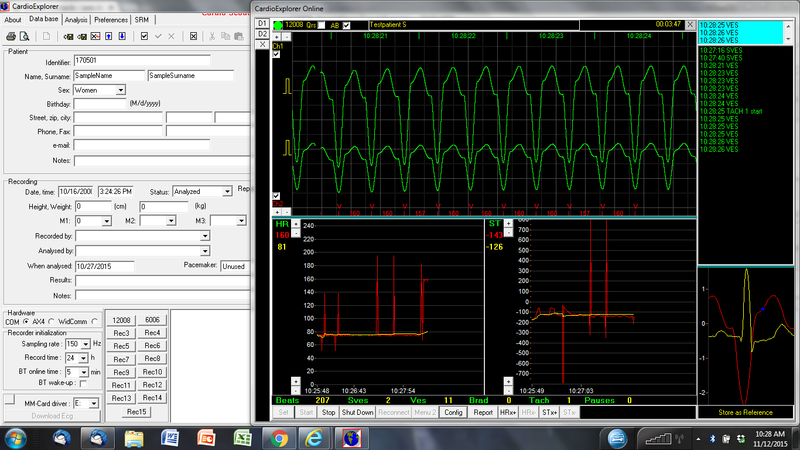 The system records 2 ECG channels continuously for the entire time of operation. 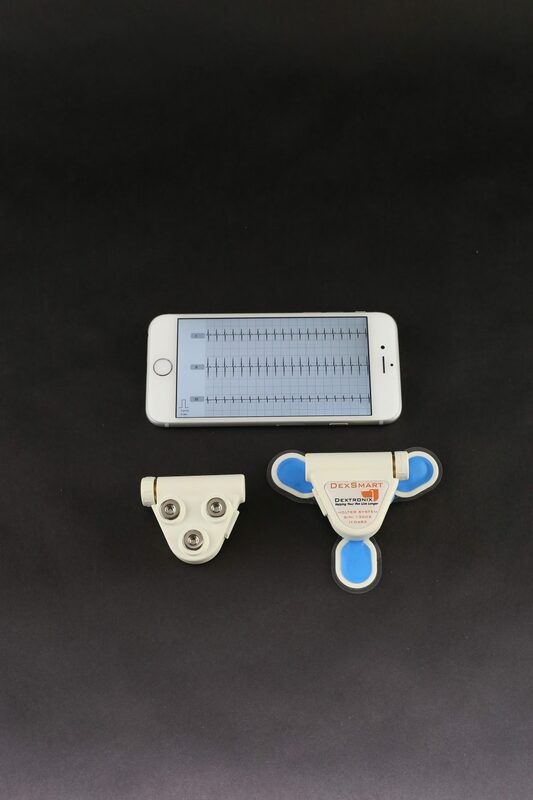 An advanced accelerometer senses movement in all 3 motion axis at very high precision to enhance ECG accuracy, eliminating artifacts and allowing the user to track activity levels. The build-in temperature sensor spots trends and will allow the user to identify fever, infections and heat stroke at onset. A second external temperature sensor (optional feature) detects room or ambient temperature to increase the accuracy of the information provided. DexSmart is powered with a standard AAAA battery and has a built-in Android and Apple iOS compatible Bluetooth interface for programming, data transfer and online control during Holter setup and use. Alternatively, DexSmart can be used with any Microsoft Windows device or computer. DexSmart is compatible with standard low-cost adhesive electrodes. Be among the first users! 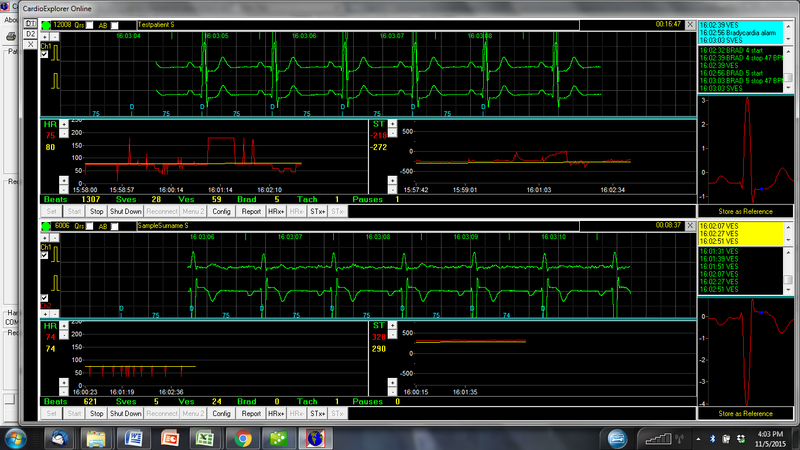 Record diagnostic EKG/ECG, Temperature and activity levels. Live and Remote Supervision of Small and Large Animals. Detect Arrhythmia, Colic, Fever, Heat stroke, Infection at onset. 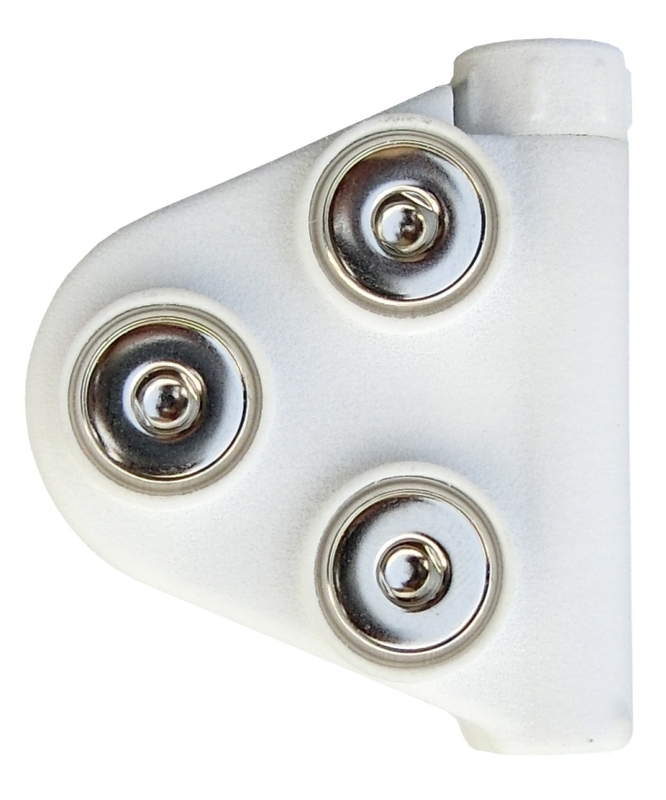 High Precision 3-axis accelerometer eliminates artifacts and measures all motion and activity. 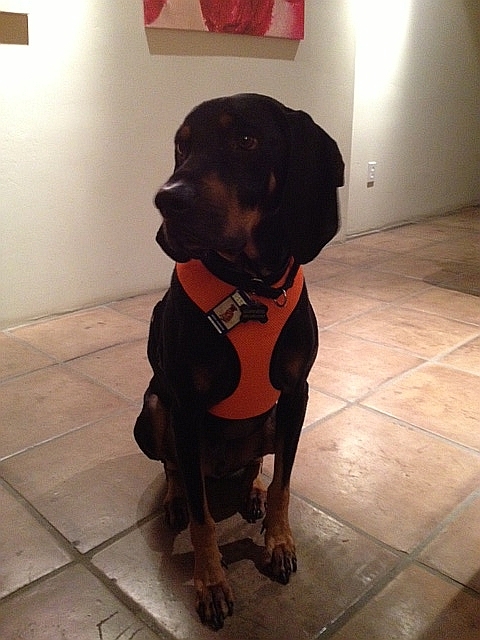 Download and share data with your veterinarian. Quick battery exchange, no charge time. Certified Made for Apple and Android. Water proof and Shock proof.